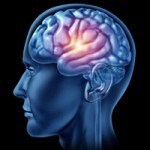 DBS surgery involves placing a thin metal electrode into one of several possible brain targets and attaching it to a computerizad pulse generator for treatment of Parkinsons Disease (رعشہ), Dystonia, Tourette Syndrome and Essential Tremors. 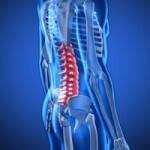 Neuromodulation involves placing electrodes in the spine and peripheral nerves to control Chronic Backache, Failed Back Syndrome secondary to Spine surgery, Severe pain in upper or lower limb after Injury or Orthopedic surgery like spinal surgery, fixation of hip joint or bones in legs and arms, Neuropathies, Epilepsy and Spasticity. ANFN is the First ever Private setup in Pakistan that is dedicated center for Functional Neurosurgery. Foundation of ANFN was laid by Prof. Dr. Shahzad Shams and his team on 28th November, 2015. Advanced Functional Neurosurgery & Neuromodulation are high tech procedures that require latest devices which are highly expensive & very fine surgical techniques. Even in advanced countries only limited number of centers are performing these procedures. It is pride of ANFN team that they took initiative & made possible what seemed to be impossible in developing countries. The ANFN center and hospital will provide treatment and cure to ailing humanity not only in Pakistan but also to the people in the region of Asia and Middle East at much lower cost than in any other part of the world. Thus ANFN will serve the patients with highly advanced neurosurgery at affordable price. In the past couple of years lot of patients were travelling to INDIA for DBS Deep brain stimulation and neuromodulation procedures, which was difficult to organize, extremely costly and difficult to mange regular follow up visits required after DBS surgery. Now with the establishment of ANFN deep brain stimulation DBS center these procedures are now being performed in PAKISTAN at “DBS-DEEP BRAIN STIMULATION CENTER IN PAKISTAN“ by a world class foreign trained Professor’s and their team giving the best reults equal to like any other centers in US or UK. Deep Brain Stimulation (DBS) is an advanced form of brain surgery that was developed to treat Parkinson’s disease (رعشہ). It has been used for those with dystonia, a disorder characterized by involuntary muscle contractions that force certain parts of the body into abnormal, sometimes painful, movements or postures. DBS has also helps those suffering from essential tremors, severe depression and those suffering from Obsessive compulsive disorder. The Movement Disorders and Parkinson’s Program at ANFN Center is the first private center for the surgical treatment of Parkinson’s Disease (رعشہ) in Pakistan. Prof. Dr. Shahzad Shams , Head of Neurosurgery Department of Lahore General Hospital and his team pioneered the DBS in private sector of Pakistan. Prof Shahzad, along with his DBS team are experts in Functional Neurosurgery and Neuromodulation procedures. Electrodes implanted in brain generate electrical impulses that modulate the functioning of brain without destryoying the brain tissue. Entire procedure is safe &highy effective for treatment of various debilitating diseases like medically refratory Parkinson disease (رعشہ), essential tremors ,etc. When treating Parkinson’s disease (رعشہ), for example, the inserted DBS device called a neurostimulator, sends electrical impulses through the wire into the brain to control the movement center. The stimulation blocks abnormal activity in the brain and relieves patients of tremors, rigidity, slowness of movement and stiffness. The electrode stimulation can be adjusted as the patient’s condition changes.